Benzinga Events – Celebrate innovation with the leading minds in fintech. Celebrate innovation with the leading minds in fintech. 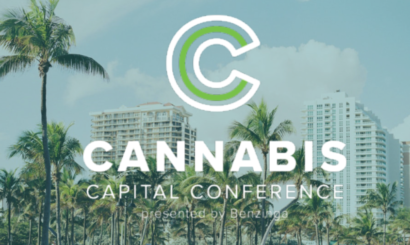 Held in a beachfront retreat setting on Miami Beach, this SOLD OUT conference brought together some of the biggest cannabis entrepreneurs and investors in North America. One-on-one meetings were held, relationships were cultivated and investments in the cannabis industry grew to a record high. 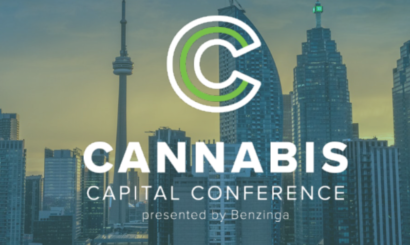 Returning for its second iteration in the financial district of Toronto, this conference is the premier gathering of cannabis entrepreneurs and investors in North America. No other conference facilitates the interactions between these two groups more seamlessly. 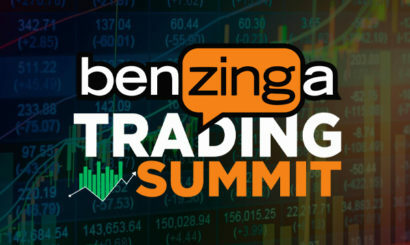 Join the Titans of Trading at Benzinga’s Trading Summit, where you and your fellow investors & traders will get all the education, direct mentoring and networking you need for an edge 2019’s market. 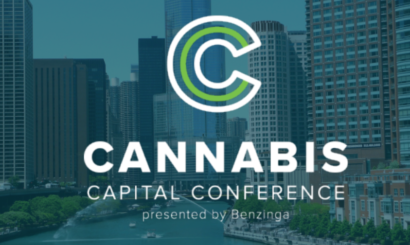 Just announced – the 4th Cannabis Conference will be held in Chicago! Bringing attendees the high caliber of connections they’ve come to love from the Benzinga cannabis conferences, we’re coming to a new area of the US! Formerly the Benzinga Fintech Awards, the Zingie’s are one half conference, one half party. The premier awards ceremony in Fintech, this is where leaders celebrate innovation in financial services – and have one heck of a time! Want to speak in a Benzinga event? Aaron is responsible for leading go-to-market strategy and operations for Experian’s Fintech and Insurance verticals. He works closely with online lending startups, the venture capital community and Experian's sales, product and marketing teams to fuel innovation and growth for companies building exciting new businesses within Financial Services. Adam Boyden is a five-time entrepreneur who has provided leadership for venture capital backed companies that have disrupted multi-billion dollar industries and generated more than $2 billion in exit value. He was the co-founder and CEO of RPM portfolio company Openlane, an online wholesale automotive marketplace, which was acquired by KAR Auction Services (NYSE: KAR). He went on to serve as VP of Business Development and Marketing at Xfire, an early social networking company focused on gamers, which was acquired by MTV Networks (NASDAQ: VIA). Boyden was President of Conduit, a cloud-based user engagement platform, early in its lifecycle and built it into the most successful Internet company in Israeli history. During this period Boyden was a Venture Advisor for RPM, led RPM’s investment in Social Finance (SoFi), and ultimately joined SoFi’s team as Chief Operating Officer as the company began to scale. Adam currently sits on the board of several of RPM’s portfolio companies, including: Able Lending, the world’s first collaborative lender, specializing in small business financing; DailyPay, who is reinventing pay-day lending by offering hourly workers rapid access to earnings for a small fixed fee; Roost, a manufacturer of connected IoT devices and sensors; and Hippo, an insurance company who offers binding homeowners insurance quotes in minutes. Additionally, Adam was the founder and former general manager of the China Consultancy, an advisory firm to companies entering the Chinese market. Boyden holds a 1st Class Honors BSc in Engineering Science from Exeter University, and an MBA from Stanford University. Alexander Wong is a managing director of D. E. Shaw & Co., L.P. and head of venture capital at the D. E. Shaw group. Dr. Wong has more than 20 years of operating, technical, private equity, and venture capital experience in the technology industry. His investment interests span a wide range of areas including financial and emerging technologies. Prior to joining the firm in 2005, Dr. Wong was a partner at Apax Partners, a global private equity firm. Before that, he served as a managing director at Intel Capital, the venture capital unit of Intel Corporation. Dr. Wong holds a Ph.D. degree in electrical engineering from the University of California, Berkeley. Business development executive with experience quickly scaling high-growth, venture capital backed start-ups that have differentiated research and technology for the financial services space. Deep understanding of alternative data, financial technology, security analysis, market structure, financial planning, portfolio construction & alternative investing. In his 21-year career at Piper Jaffray, Gene Munster became one of Wall Street’s most respected and followed analysts for his coverage of Apple as it became the world’s largest company. Now, as managing partner of Loup Ventures, he’s seeking out companies building world-changing technologies. Founder, Caliber After 13 years as a media executive at Investor Relations (IR) magazine, Corporate Secretary, and PRWeek, Harvey founded Caliber Corporate Advisers in 2010. During his tenure working for leading financial and legal B2B media, Harvey recognized he was in a unique position to turn his attention towards helping his clients in niche industries tell their story and ultimately grow their business. Caliber has assisted more than 100 organizations, including Goldman, Blackstone, KKR, and Berkshire Hathaway portfolio companies, asset management firms, and numerous other industry-leading and entrepreneurial companies. Harvey and Caliber also proudly graduated from the Goldman Sachs 10,000 Small Businesses program. Mani Mahjouri is the CIO and Chief Strategist of Tradeworx, Inc., responsible for research and implementation of investment strategies. Mr. Mahjouri has over 18 years’ experience in hedge funds. Prior to Tradeworx, he was Global Head of Foreign Exchange at Sun Trading LLC. Mr.Mahjouri began his career at AQR Capital Management in 1999, where he was a senior member of the Global Asset Allocation team. Mr. Mahjouri completed a triple major from MIT with a BS in Physics, BS in Mathematics and BS in Finance. After 40 years on Wall Street as a trader, stock broker analyst and options trader, Marc founded Chaikin Analytics LLC to deliver proven stock analytics to investors and traders, based on the Chaikin Power Gauge, a 20-factor alpha model proven effective at identifying a stock’s potential. Chaikin pioneered the 1st real-time analytics workstation for portfolio managers and stock traders, now part of Thomson Reuters’ institutional workstation, and developed computerized stock selection models and technical indicators, including Chaikin Money Flow, which are industry standards. Matt Harris is the Managing Director at Bain Capital Ventures. Matt joined Bain Capital Ventures in 2012, to lead the NYC office and focus on business services companies, with a particular interest in financial services. Most recently, Matt co-founded and ran Village Ventures, where he focused on the same sectors and invested in such companies as BlueTarp, Consumer United, Dwolla, iSend, On Deck Capital, Simple, TxVia and Zipmark. Earlier in his career, Matt worked at Bain Capital in the private equity group. Matt went to Williams College, graduating in 1994 with a degree in Political Economy. Matt was the Captain of the Williams College Rugby Club for his junior and senior year, which as you can imagine consumed nearly all of his spare time. Outside of work, Matt is delighted to spend time with his wife, Jessica, and their two children. He is the Chairman of the Board of the Williamstown Theatre Festival, a regional theater associated with Williams College. Michael is the CEO of M Science, leader of the executive team and sits on the company’s board. Prior to M Science, Michael was an Executive Committee Member and Head of Research, Sales & Trading at Investment Technology Group where he led one of the world’s largest and most respected data-driven research teams and was instrumental in the divestiture and sale of its Energy research business to Warburg Pincus for over $120mm in late 2015. Previously, he has held senior roles at RBC Capital Markets and Lehman Brothers. Michael currently serves on the Boards of the City Parks Foundation and the Ronald McDonald House of NY. He is also a member of the Young Presidents’ Organization and previously served as a Trustee of the Nature Conservancy on Long Island. He enjoys spending time on the east end of Long Island with his 3 children. Michael is also the Founder of Let's Humanize Finance, a podcast that interviews FinTech innovators who are changing how we interact with money. Prior to iCapital Network, Michael was the first sales hire and the Director of Institutional Investments at Mosaic, a financing platform for affordable home solar loans that has surpassed $1 billion of loans originated and has received a $200 million equity investment from Warburg Pincus. Michael started his career as an Analyst at Goldman Sachs' Principal Strategic Investments team in London, a direct investing team focused on market structure and FinTech investing. Michael is an Advisory Board Member for Village Capital's US FinTech Program and a Special Advisor to Panorama Point Partners. Nathan Richardson is a well-known financial technology & digital entrepreneur. Currently, he is building Trade It (TM) that enables online trading with customer’s existing brokerage accounts from any app or site. He advised Bloomberg, served briefly as President of AOL Live, he co-founded #waywire with Mayor Cory Booker. He built, launched and served as the President of Gilt City, a subsidiary of Gilt Groupe, Inc. Nathan also led the launch of GiltMAN. He was the C.E.O. of ContentNext Media, where he led the sale to Guardian Media/UK. Nathan served as the Head of DowJones Online, where he oversaw Marketwatch, WSJ.com, Barrons.com and several other vertical sites. Nathan is best known for building, growing and leading Yahoo! Finance into the number-one online finance and business destination, he was named most influential by Institutional Investor. Nathan was part of the original team at DotBank prior to its sale to Yahoo; was as an Emerging Markets Associate with Citibank in Istanbul, Warsaw, Johannesburg and Jeddah; and served as the Country Director for the International Rescue Committee in Liberia. Earlier in his career he served a Peace Corps volunteer in Senegal. Nathan serves as a board member with Caribe Media Inc., and as an advisor to several early-stage venture backed companies. In 2005, Institutional Investor ranked Mr. Richardson No. 1 in its sixth annual Online Finance 40 ranking. Nick Britz, Finance at Google Fiber. Nick has over a decade and a half of operating experience in Tech, Fintech and management consulting. He currently works for Google Fiber and has previously overseen finance for products such as Google Wallet, Offers and Google Express. Prior to joining the Google, Nick was VP of Corporate Development and FP&A for Zecco (now Tradeking). Nick holds MS in Mechanical Engineering from Stanford University and a BS in Engineering Mechanics from The Johns Hopkins University. Innovative product management and product marketing professional with ability to create successful strategies and build product teams and roadmaps that align to key performance indicators. Proven ability to leverage data science and machine learning to define and create B2B and B2C solutions. Hands-on leader who excels at working cross-functionally with data science, engineering, operations, sales, marketing, customer service, finance and executive teams. Highly efficient, analytical and capable of using Agile principles of collaboration and prioritization. Technology-driven, able to quickly learn new methodologies and technologies and deliver products and services that delight customers. Sonny is one of the leading FinTech executives in Silicon Valley and is currently the Chief Commercial Officer at BitPay. BitPay is the largest processor of bitcoin in the world and has raised over $30M in funding from top investors like Founders Fund, Richard Branson, and Index Ventures. Previously, Sonny was the Vice President of Sales and Business Development at Jumio, which has raised over $40M from Andreessen Horowitz, and Citibank. Sonny has spoken at numerous FinTech conferences throughout the world and has published several articles in TechCrunch and Finance Magnates. He is a Venture Advisor for Lumia Capital and is also an angel investor in several companies including TubeMogul (IPO), Estate Assist (acquired by DocuSign), Getaround, Jumio, Civic Technologies, Sendhub (acquired by Cameo Global), and Naritiv. Sonny has an MBA from Thunderbird, is a graduate of Binghamton University (NY) where he played collegiate tennis. As CEO & Founder, Sue and the Syndicate team bring a depth and breadth of corporate and start-up experience and passion in FinTech, InsurTech and innovation to their clients. The FinTech Growth Syndicate provides corporate innovators and start-up company leaders the tools and expertise they need to grow their businesses and accelerate their response to the changing needs of their clients. We specialize in 2 things – engaging you with the ecosystem outside your organization, and working with startups to master B2B sales and partnering. Our model is designed to provide you with agile, on the ground experts in Toronto and Kitchener/Waterloo – talent that has deep experience in corporate innovation, design thinking, commercialization, B2B market expansion and partnering. We are truly deep in innovation and disruption, are plugged into every corner of the ecosystem, and can leverage our relationships and knowledge of the global FinTech ecosystem to accelerate innovation. Prior to starting the company, Sue was Vice President & Head of Global Innovation for D+H. the 21st largest FinTech globally. She was also responsible for distribution and marketing strategies through partners and channels, and is an expert in influencer relations and how to sell through strategic partners in global financial markets. She was SVP and General Manager of a start-up business unit she created for Broadridge, where she invented and launched award winning solutions for brokers and dealers in Canada, that grew to $40 Million in revenue in 24 months. Sue has spent 25 years in various corporate executive positions. Sue is a thought leader, speaks at numerous events, and holds many advisory roles that help to drive awareness and progress in Canada around innovation and FinTech, including the ICT Advisory Board for Global Affairs Canada, FinTech Advisory Committee for the OSC Launch Pad, Advisor for the Digital Finance Institute, and mentor to the HK FinTech SuperCharger. Sue has a Bachelor of Commerce from Ryerson University, has 3 children, and lives in Toronto with her husband and youngest son. Tim Seymour has over 19 years of global and emerging markets investment experience as a hedge fund manager, trader and in capital markets, across multiple asset classes. Seymour looks at markets with a global lens focusing on economic, political and technical analysis to shape a bottom up view towards trading and investment. Seymour's investment approach and passion for markets has been shaped by spending significant time living abroad and investing through major market trends and transformations. Seymour is a Co-Founder and Managing Partner at Triogem Asset Management, a hedge fund and wealth management firm formed in 2008. At Triogem, Seymour is the CIO and chairs the investment committee. Triogem's clients are both institutional and HNW investors focused on global investment opportunities and portfolio allocation via fund investment and individual managed accounts. Triogem has traditionally employed a bottom up, low volatility approach, that emphasizes stock picking and risk adjusted returns. Prior to Triogem, Seymour was a Managing Partner and Portfolio Manager at Red Star Asset Management (Moscow, New York), where the core strategy was a low volatility, multi-strat fund investing across Russia and the CIS. Prior to his hedge fund career, Seymour was a partner and managing director at Troika Dialog, (now Sberbank CIB, Russia's largest investment bank). Seymour moved to Moscow in 1998 as Head of Fixed Income and was later appointed Global Head of Sales for all products. In January 2000, Seymour moved from Moscow to New York to found Troika Dialog USA, a full-service FINRA/SEC regulated brokerage firm and subsidiary of Troika Dialog Group where he served as President for four years. Seymour started his career at UBS in New York, focusing on international credit (cash, swaps, forex) in a specialized hedge fund group. Seymour completed the firm's training program after graduating with an M.B.A. in International Finance from Fordham University. Seymour received his undergraduate degree from Georgetown University, McDonough School of Business. Seymour founded EmergingMoney.com in 2009 to offer investors broader insight into the Emerging Market asset class. With a view that many investors need access to dedicated emerging market analysis and "investment education," EmergingMoney.com seeks to explain EM investing and to deliver trading concepts and market insights. My current industry focus is financial services including digital banking, fintech, cryptocurrencies, and AI-enhanced algo trading. I have extensive experience in cloud computing, AI/machine intelligence, machine learning, IoT (Internet of Things) and blockchain technologies. Expert at critical thinking for producing new and unique methods to solve complex issues and processes. Comprehensive education and experience with commercial business, computational finance, fintech, emerging payments, and blockchain deliverables. High energy individual contributor as well as team leader who formulates useful strategies on positioning and leveraging information for systems-based commercial success. Reliability, innovation, clear communications, mobilizing others and a high expectation of myself and others are some leadership trademarks. The overall benefit of my efforts is day-to-day high performance which creates and produces value and makes a measurable difference for my clients. Travis Dulaney is Co-Founder and CEO of Push Payments. He has been responsible for directing and building Push Payments’ Real-Time payments capabilities, as well as establishing Push Payments’ South Florida office. Mr. Dulaney has over 25 years of Financial Services experience, specializing in Payments, Processing, and Banking across vertical markets providing vision, insights and creative solutions. He spent the last two years building what is probably the only, fully compliant, scalable, secure, easy to use, intelligent and true real-time payments platform in the world. He has over 20 years of professional experience in the financial services industry focusing primarily on banking, core financial processing, and card mobile payments, using his expertise to improve efficiency in financial systems while creating and building new innovative payment systems and products. He has worked with a wide array of clientele, both in financial services and other industry sectors providing guidance and management as they deal with the ever-changing financial-services landscape. His clients have included international and regional commercial banking institutions, payment processors and government agencies, including the FDIC, the Federal Reserve, and OCFI. Yin Luo joined Wolfe Research, LLC in September 2016, as a Vice Chairman to lead the coverage of quantitative research, economics, and portfolio strategy (QES). Prior to Wolfe Research, Yin was a Managing Director and Global Head of Quantitative Strategy at Deutsche Bank. Yin started at Deutsche Bank in New York in October 2009 and in seven years, he built a world class quantitative and macro research franchise. Before arriving at Deutsche Bank, he spent over 12 years in investment banking and at a management consulting firm with various roles in quantitative research, fundamental research, portfolio management, investment banking and consulting. Yin has been ranked #1 in Institutional Investor magazine’s II-All America equity research survey in quantitative research for the past six years (2011-2016), and top ranked in the Accounting & Tax Policy and Portfolio Strategy sectors. At Deutsche Bank, Yin also led the team and achieved #1 ranking in II-Europe and II-Asia surveys. In 2016, Yin was selected to the UPstanding’s top 100 ethnic-minority executives in the US and UK by the Financial Times. Yin holds a Bachelor of Economics degree from Renmin University of China, a MBA in Finance from University of Windsor, and a Master of Management and Professional Accounting from University of Toronto. He is a CFA charterholder, a U.S. CPA, a CGMA (Chartered Global Management Accountant), and a PStat (Professional Statistician). Mr. Luo is also an Adjunct Professor of Finance at Renmin University of China. "I would love to participate in any future Benzinga event, it was awesome. I will make BZ Events a priority to attend. " "Thanks for a fantastic experience at the Benzinga Fintech Conference. Goes without saying that you all run a class act event. " "BZ Team puts on an amazing events. The presentations, panels and demos were all great. I loved the short format. It was perfect for networking and the conversations flowed freely thanks to the energy that the team created. " "The Benzinga Women’s Wealth Forum was very nicely done - I loved the venue and the panels and selection of people Benzinga had there. I can only imagine next year will be even bigger!" "The Benzinga Women's Wealth Forum was great - a really inspiring group of women, all willing to share their experiences and candid opinions. Top notch from the panels to the attendees! Congrats to the Benzinga team." Register Now for the Benzinga Global Fintech Awards! "Conferences like [the Benzinga Fintech Summit} offer a valuable conduit for experts across the industry’s many silos to educate and connect." "I became very keenly aware of [the adoption of AI in financial services] last month at the Benzinga Fintech Summit." "Benzinga put together a fast-paced conversation about Fintech with some of the biggest players." Jason Raznick is a passionate entrepreneur and the founder of Benzinga, a financial media company based in the heart of downtown Detroit. His innovations in fintech are quoted by the Merriam-Webster dictionary and have fueled the vision behind the Detroit Fintech Association. Benzinga currently educates over 25 million readers in over 125 countries each month. Raznick has been quoted throughout the media in places such as CNBC, Fox Business, NPR and Wall Street Journal. Nicole LaPointe is the director of Benzinga Events and executive vice president of operations at Benzinga. The buck stops with her—Nicole oversees all aspects of Benzinga Events and Benzinga’s internal processes. She brings with her twenty years of event planning and operations experience, having spent the majority of her career at Crain Communications, where she served as director of events and scaled that business from five events to 30 events. During his tenure at Beniznga, Luke Jacobi has built products, managed operations and currently leads B2B partnerships. His contributions have lead to wider distribution of Benzinga content and changed the way investors consume financial information. Throughout the past 6 years, Luke has helped produce content that has been consumed by more than 10 million people. Patrick Lane is the vice president of partnerships at Benzinga Events. Patrick is responsible for onboarding all event partners and sponsors, as well as developing the audience for Benzinga’s series of events. Patrick has years of experiencing working with Fortune 500 clients in the financial services and life sciences spaces. Previously, he was an actor of stage and screen, with roles in the hit TV shows Chicago Fire and Chicago PD among others, as well as various roles on Broadway and off-Broadway productions. Yasmine Shitta is the corporate events specialist for the Benzinga Events team. Yasmine manages the hundreds of moving parts that make up events logistics and specializes in event and account management, marketing campaigns and media relations. Prior to her Benzinga days, Yaz created and produced events within the B2B, B2C, automotive and beauty/health industries as well as managed artist exhibitions and spearheaded event development for non-profit organizations. Neal Hamilton is the Vice President of Marketing at Benzinga. He manages and promotes solutions that help investors, day traders and businesses find actionable information and achieve their financial goals. Before joining Benzinga, Neal worked in product management for insurance and broker-dealer compliance solutions. Today he leads all marketing operations at Benzinga. You can follow Neal on Twitter @nealstweets and reach him directly at [email protected]. Rebecca Martin is the Events Marketing Manager for all Benzinga events. She works to create cohesive, engaging campaigns and strategies to develop attendee and sponsor engagement and 'get butts in seats' at both national and international events. There is no hat she isn't willing to wear to help the events team achieve SOLD OUT status with ticket sales. Before joining the Benzinga team, she worked on big name brands in the advertising agency world, including Chevrolet and Serta. She also sold SEO and web design services for a turn-key agency on the shore of Lake Michigan and worked for a print publishing company. With over 7 years of corporate events experience in the manufacturing, gaming, food & beverage and engineering industries, she brings a fresh perspective to the financial events sphere. Shelby Jones is the Benzinga Events Coordinator, handling logistics and internal events for the team. Shelby is an effective operator, having developed multiple internal processes that have streamlined Benzinga's growth as it scales. In her own time, Shelby is an accomplished photographer. Hannah Genig is the content producer for the Benzinga Events team. With a background in both journalism and management, Hannah facilitates all of the content that brings our conferences to life. With Benzinga’s mission in mind, Hannah strives to provide relevant and cutting-edge investing news to our millions of monthly readers. Prior to her Benzinga days, Hannah reported on Michigan football and has a passion for all things sports. Sharon Shebib is the Operations Manager on the events team. Sandeep Kumar is the Benzinga Events website developer. Sandeep crafts the websites for each of Benzinga’s events, empowering the Benzinga team to provide clients with digital visibility and ensuring the public knows all the relevant details about our events. Sandeep has more than 5 years of experience in full stack web and mobile development and a bachelor’s of computer application from NIMS University. Sophia Dellapenna is the Benzinga Events intern. When she’s not fetching coffee or making office candy runs, Sophia is the glue holding the events team together, going the extra mile to ensure our events run smoothly and clients are satisfied. Benzinga Events brings the most influential people in fintech together. To license our services to offer your clients a storytelling experience, click below.